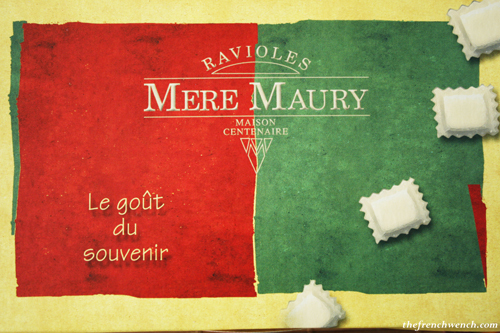 To me, the Raviole box pictured above says it all: “The Taste of Memories“. Ravioles bring me back to my childhood in Romans, in the South-East of France, where they are a specialty. They have been protected by a “Label Rouge” since 1998, under the appellation “Ravioles du Dauphiné”. 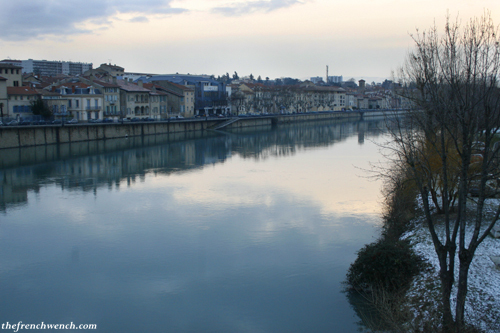 (The Dauphiné is an old French province that used to include the following current departments: Drôme, Hautes-Alpes and Isère). In between several “Bûches de Noël” evoked in my previous post, many delicious dishes were shared during the week of feasting at my parents’ place in the Rhône-Alpes region of France.